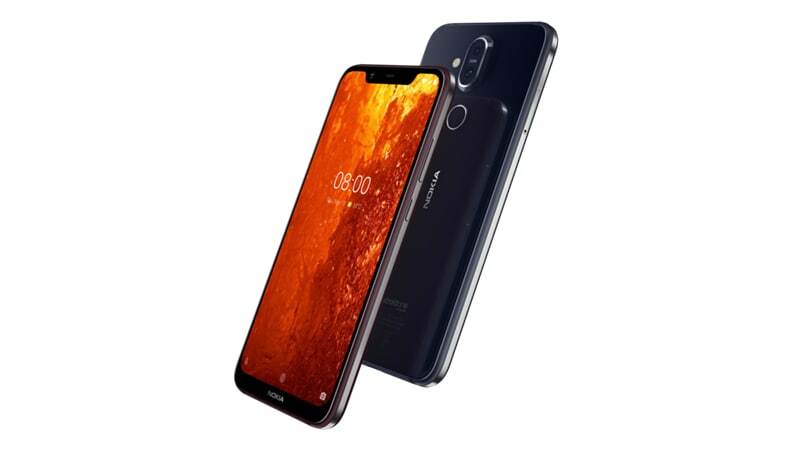 Nokia 8.1 was unveiled by HMD Global at launch event in Dubai on Wednesday. The new Nokia 8.1 Plus features a 6000-Series aluminium body and also its a dual rear camera setup with Zeiss optics, Snapdragon 710 SoC, and it runs on Android 9 Pie, also witn 3,500mAh battery and 18W fast charging capabilities. When it comes in terms of specs, The Nokia 8.1 is dual-SIM (Nano) and runs on Android 9 Pie, The Smartphone sports a 6.18-inch full-HD+ (1080x2244 pixels) and is powered by an octa-core Qualcomm Snapdragon 710 SoC with 4GB RAM and 64GB of in built Storage Capacity. The Nokia 8.1 bears a dual rear camera setup with Zeiss optics, with the primary 12-megapixel camera and a dual-LED flash. The secondary 13-megapixel fixed-focus lens is meant for depth sensing. At the front, the Nokia 8.1 bears a 20-megapixel fixed focus lens. The Nokia 8.1 Connectivity options include 4G VoLTE, Wi-Fi 802.11ac, VoWiFi, Bluetooth v5.0, GPS/ A-GPS, FM radio, a 3.5mm headphone jack, and USB Type-C port. The Nokia 8.1 bears an accelerometer, ambient light sensor, digital compass, gyroscope, and proximity sensor. It features a fingerprint sensor on the rear panel.